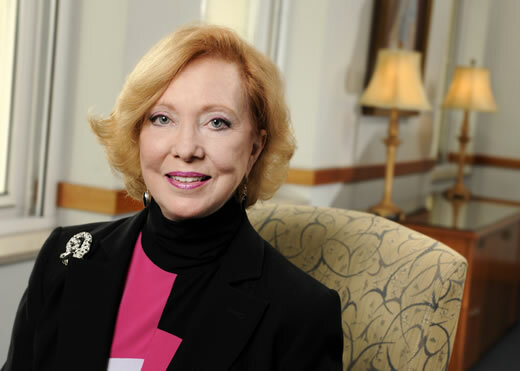 Deborah Watkins Bruner, PhD, RN, FAAN, professor and assistant dean of faculty mentoring and advancement at the Nell Hodgson Woodruff School of Nursing and associate director of mentorship at Winship Cancer Institute, was appointed as co-chair of the National Cancer Institute’s (NCI’s) Global Health Working Group. NCI is part of NRG Oncology, a non-profit research organization formed to conduct oncologic clinical research and to broadly disseminate study results for informing clinical decision making and healthcare policy. In her new role, Dr. Bruner will be reviewing the NCI’s global portfolio and providing recommendations for resource allocation. Bruner has worked with the NCI-sponsored National Clinical Trials Network NCTN for nearly three decades and is the first and only nurse to ever lead a national clinical trials cooperative group and to serve as Principal Investigator (PI) of the Radiation Therapy Oncology Group (RTOG) Community Clinical Oncology Program. She also provides leadership on the multi-PI NRG Oncology group National Community Oncology Research Program (NCORP). In addition to her governance of NRG Oncology’s NCORP grant and Publications Committee, Bruner serves on the NRG Oncology Executive Committee and Concept and Protocol Review Committee. Bruner has received many distinguished awards and recognitions for her leadership in oncology. She was appointed by President Obama and currently serves on the National Cancer Advisory Board. She has served as a member of numerous multidisciplinary NCI committees related to clinical trials, including the NCI Clinical Trials and Translation Research Advisory Committee (CTAC). She served on the NCI National Clinical Trials Network (NCTN) Working Group that undertook review of the entire NCI cooperative group clinical trials portfolio. She co-chaired the NCI Symptom Management and Health Related Quality of Life Steering Committee for the first six years of its development. The committee is charged with reviewing all related cancer cooperative group clinical trials asking quality of life or symptom management questions. In 2016, she was inducted into the National Academy of Medicine (NAM).